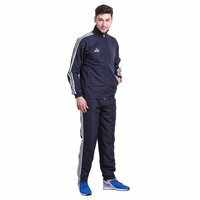 Our elegant collection of Men's Black Track Suit is designed by keeping track with current fashion trends under guidance of skilled craftsmen. It fits perfectly to wearer due to its seamless stitch and elegant finish. The mesh breathable lining will keep your cool and dry even after long workout hours. 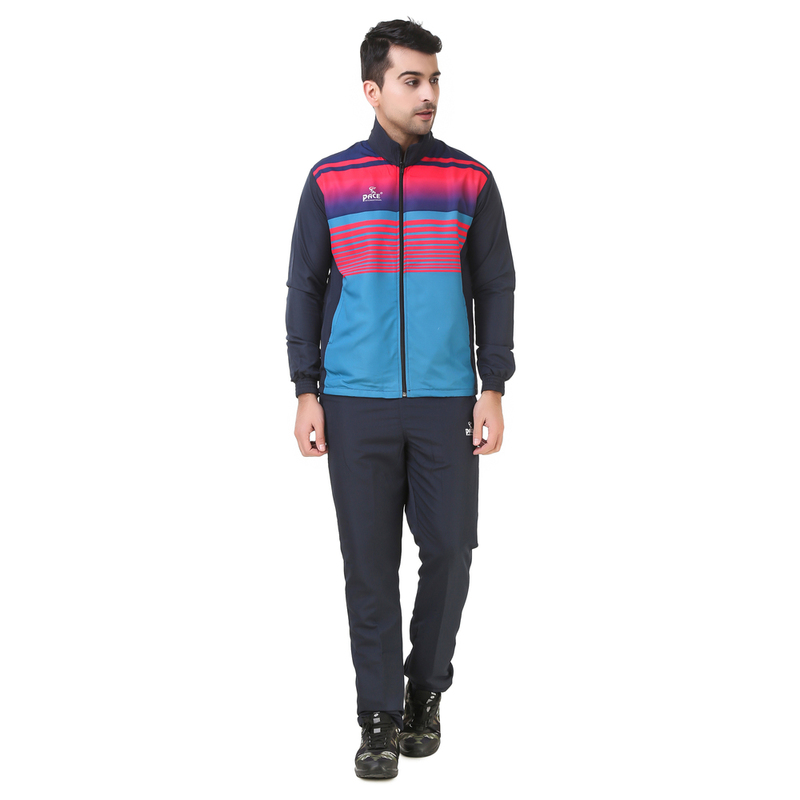 It consists of front zip closure jacket and trouser that is designed with elastic waist band. 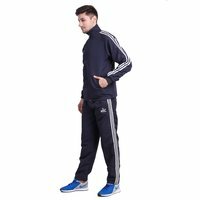 Offered suit is an ideal combination of comfort and style. 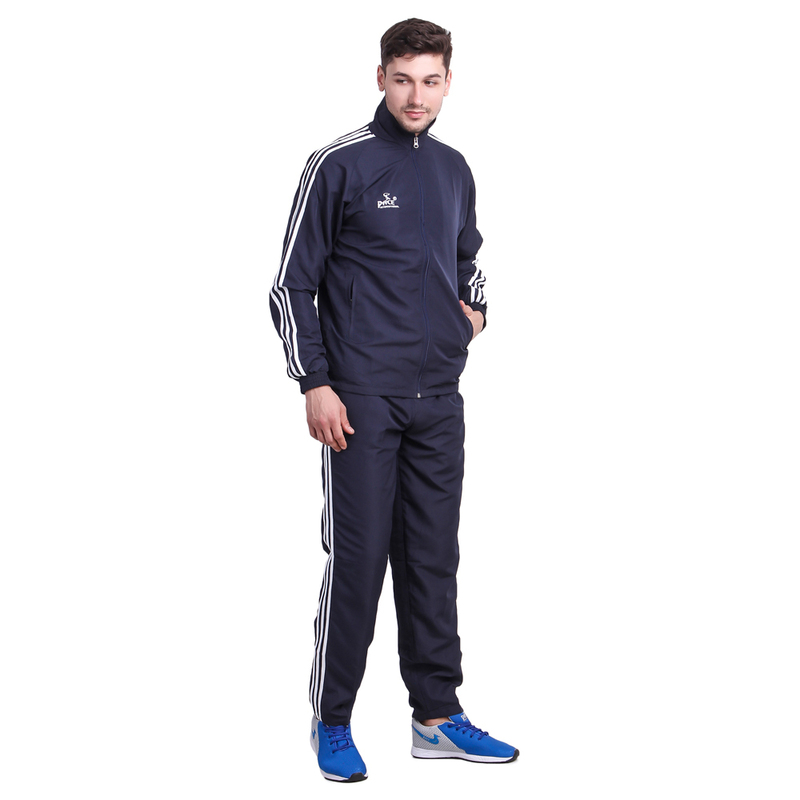 It is available in different colors, patterns and sizes as per clients' demands. 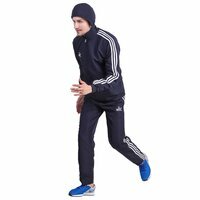 Men's Black Track Suit is easy to wash at home in cold water and will never shrink.